This was one of my first endeavors in educational writing. It was also the fastest to make. I think it's pretty useful. I had some graphics help from my former boss Mark. Kindergarten was the last volume I made! Grade K-8 are done! Here's Grade 1. 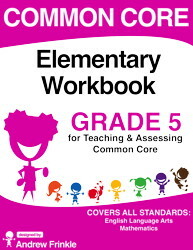 Get worksheets for every Math and ELA standard. Mmm... Orangety-orange! Here's Grade 2. 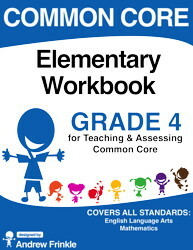 Get worksheets for every Math and ELA standard. Mmm... Lemony goodness. Here's Grade 3. Get worksheets for every Math and ELA standard. Love that chocolatey color, eh? Here's Grade 4. Get worksheets for every Math and ELA standard. Oooh. Blueberry! 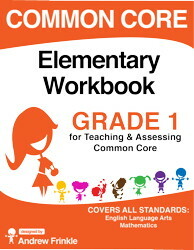 I'm expanding into grades K-5 with my common core series. 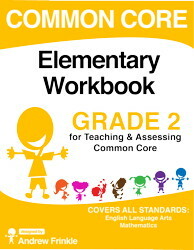 Get worksheets for every Math and ELA standard. 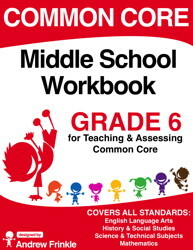 My newest Common Core Workbooks are for Middle School. They're for grade 6-8. 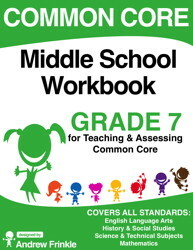 Each volume contains the grade level standards for ELA, Math, Science, and Social Studies. 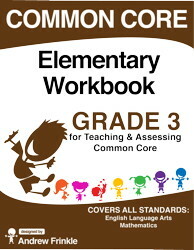 There are also reusable worksheet templates for each standard, over 100 per book. Here is the grade 7 version. Here is the grade 8 version. 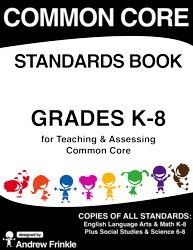 This volume has 250 pages of standards, all subjects for grades K-8. It's meant as a companion tool for the series. 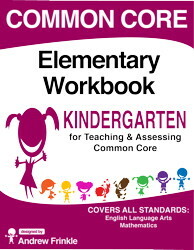 Common Core Assessment Templates offers lesson plan solutions with 175 different templates in a standardized style for grades K-8. Make your own assessments in a professional template set! 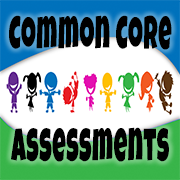 Common Core Assessment Templates was a big deal, helping a lot of people get their lesson plans in order. To help with that, I created this stand-alone set of vocab cards that can also be used as a companion to the original book. This project was so important to me that I gave it its own site. 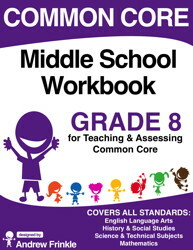 Visit it at www.common-core-assessments.com!